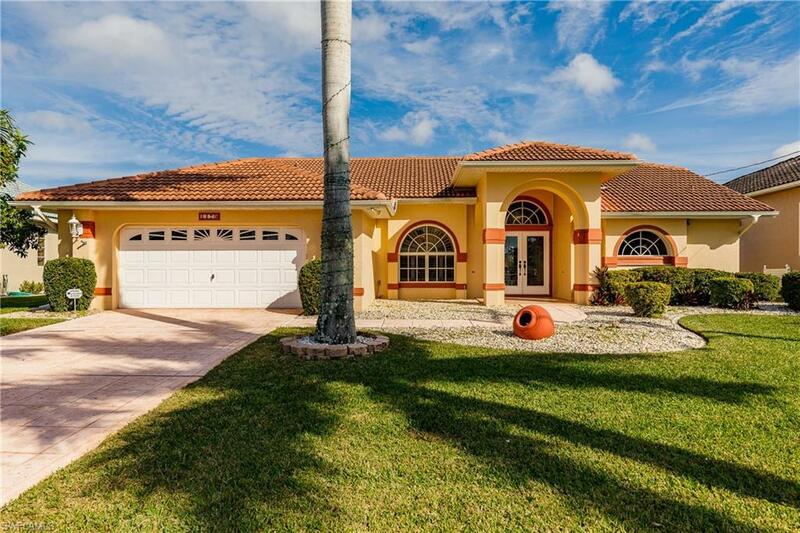 Welcome to the Rose Garden - one of the most beautiful neighborhoods in Cape Coral. 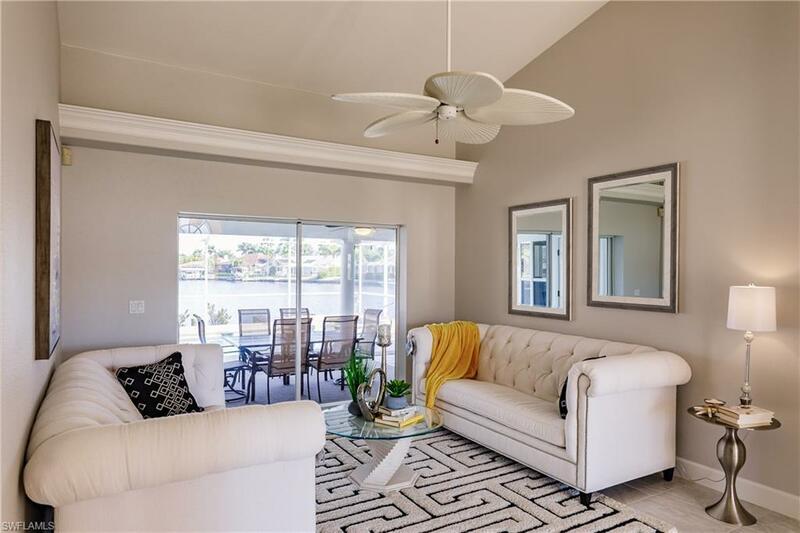 This lovely home will surround you with everything that makes life in Southwest Florida so wonderful; majestic Royal Palms, mature fruit trees, great local restaurants and boating from your backyard! Soak up the sun on your dock and watch the manatee and dolphin play. Relax in your heated pool/spa and enjoy the wide water views and palms swaying in the breeze. 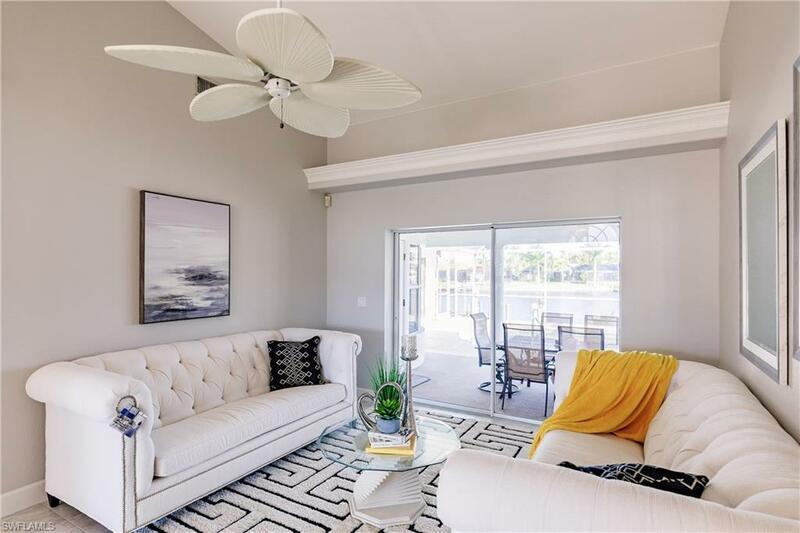 You can open up your three large pocketing sliders for fabulous inside/outside living, and entertaining is easy when you have the space and views this home offers. This neighborhood is fantastic for walking, biking and enjoying the warm sunny Florida days. Tarpon Point Marina is just a short walk away with its restaurants, shops and evening entertainment. 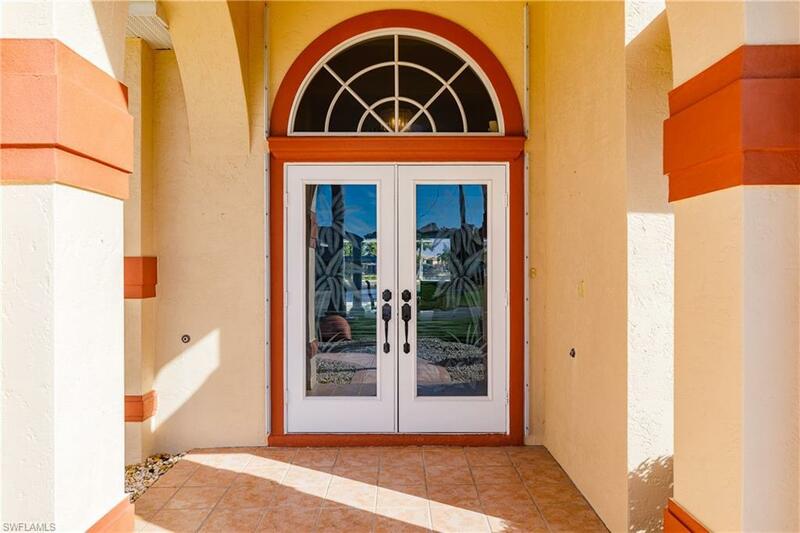 Recently updated, this beautiful home offers tile floors throughout, plantation shutters and custom window treatments, a bathroom for every bedroom, large walk-in closets and is fully equipped with storm shutters when needed. Make your appointment today to see this wonderful home in its beautiful Rose Garden neighborhood. Perhaps you'll see dolphins or a manatee swim by while you're there. Listing courtesy of Theresa M. Brown of Synergy Realty Inc..